“Victorian Affinity” is inspired by the outstanding Victorian era in England and its parallel phase in France, “Le Belle Epoque," when the day to day atmosphere was recognized with optimism. A bridal gown should be treated and fitted with love and care, as carried by a bride in her wedding day, and so we bring you our perception of it, with our own admiration of the female body. Our Victorian affinity. We put great emphasis on games of volume in one garment, creating a chimeric silhouettes and endless trains. The color palette is of soft porcelain ivory, dusted silver, washed pinks, smoky blush and cream that completes the touch of this collection. To add our touch of romance and admiration to the feminine body we used delicate textured laces, deep colored backgrounds and paid careful attention to details (such as detachable elements and a lot of crystals), alongside varied Victorian motifs of high collars. A bridal gown should be treated and fitted with love and care, as carried on a bride in her wedding day, and so we bring you our perception of it. Our Victorian Affinity. 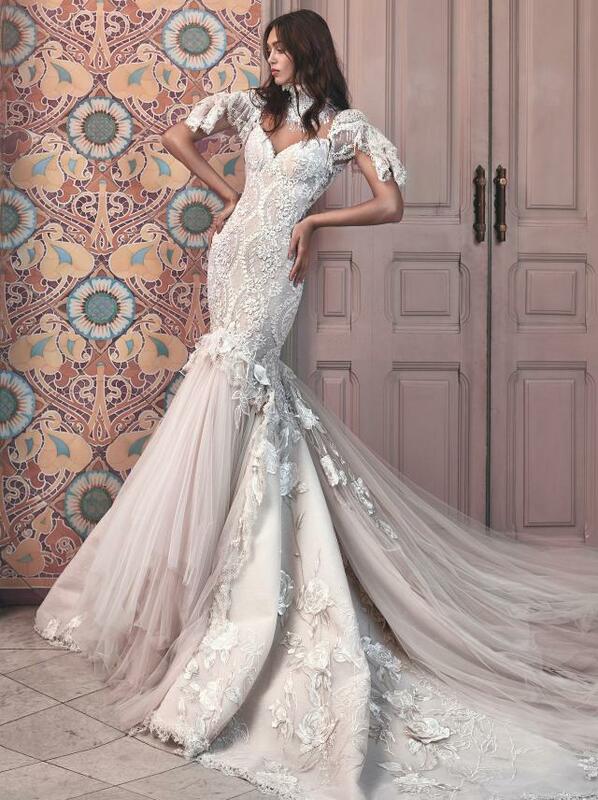 "The most recent offerings from Galia Lahav’s haute couture collection are the most dramatic yet seen from the Israeli design house."